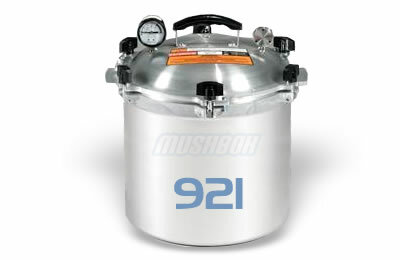 This reliable and efficient pressure cooker has a 21.5 Quart liquid capacity with 2 racks supporting 19 Pint / 7 Quart jar capacity. Made from heavy duty cast aluminum construction it heats evenly and quicker than most metals, cleans easily, wears well and will not rust. Every all american pressure cooker comes with the exclusive Metal-to-Metal Seal with no gaskets to crack, burn, or replace. 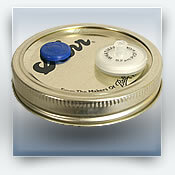 Positive action clamping locks align the cover to the base, forming a steam-tight seal. There is also automatic overpressure release providing an extra margin of safety over conventional rubber or composition gasketed cookers. Double thickness edges for additional protection on points of heaviest wear. There is no painted surfaces to chip, crack or discolor from heat. 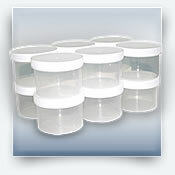 Comes with 1 jar rack to stack two levels of jars inside canner. Equiped with an easy to read geared steam gauge for accurate pressure control as well as pressure regulator weight with settings of 5 psi, 10 psi and 15 psi. Not suitable for use on flat glass-top stoves. This product will ship direct from the manufactuer in Wisconsin USA so a custom shipping quote may be required depending on your location. Please be aware that the amount shown for shipping at the time of placing the order might not be the same to actually have have it sent, if there is any changes to the shipping price we will contact you immediatly and confirm the change in price before shipping the order. 362 points will be rewarded to you when you buy this item.